Are you soul-weary? Do you struggle to make time for God in the midst of a packed schedule? Or do you sometimes stay so busy doing things for God that you can't relax and just "be"? Jesus faced amazing pressure and overwhelming demands throughout his ministry, but he did not experience the burnout so common today among Christian ministers and laypersons. You can learn the rhythm of living that Jesus demonstrates — the Cycle of Grace — throughout the Gospels. 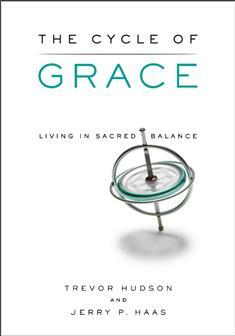 Use this workbook and accompanying video about the Cycle of Grace either individually or in a small group. In the workbook Jerry Haas provides practical exercises for individuals and groups, complete with suggestions for journaling and preparing for group sessions. The workbook includes a Leader's Guide and several useful appendixes. A must-have resource for clergy and lay leaders, The Cycle of Grace is also an excellent text for seminary and college classes preparing students for ministry.